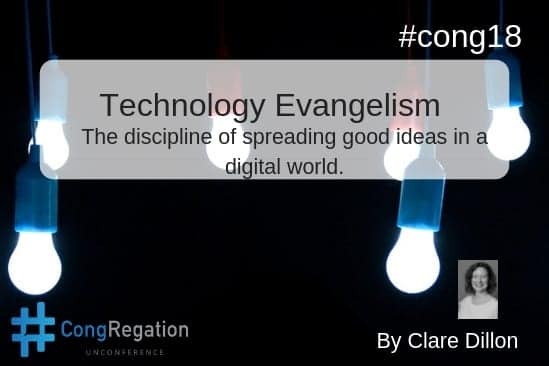 What is Technical Evangelism and why do we need more of it in today’s digital world! Why Technical Evangelism is important in today’s world. 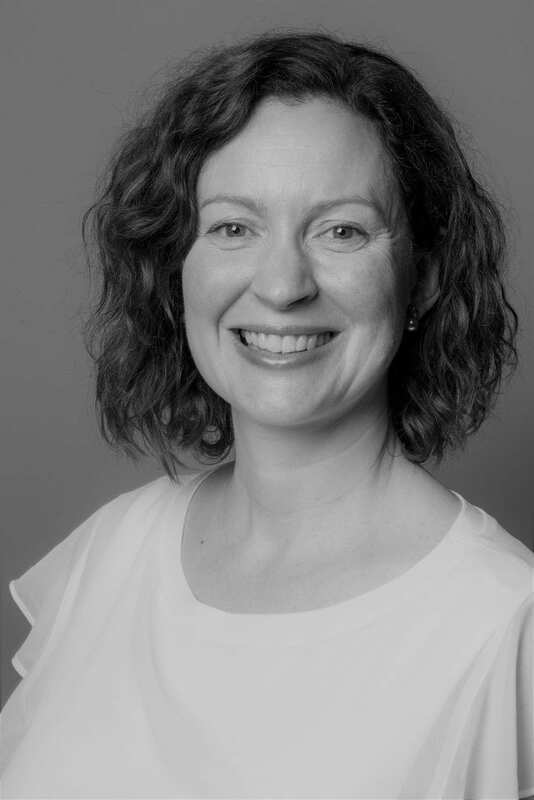 Clare is an independent Technical Evangelist helping organisations capitalise on emerging tech and related business trends. She also help organisations spread their ideas. You can contact Clare by email or connect with her on LinkedIn. Ideas, ideas, ideas – I love ideas. Every time I have a good one, or hear a good one, I get a little burst of adrenaline. And yet, so many ideas end up being nothing more than a quick high unless something is done with them. I was thinking about this, when I realised it is exactly what I have been thinking about on a regular basis for the majority of my career. For the past 15 years, I have officially had the words evangelism or evangelist in my job title. However, I have discovered that people often do not actually have a very clear idea about what technology evangelism is or what technology evangelists do. This article aims to discuss that and include some thoughts on why it is a skill we need more of today. The word evangelist is perhaps best associated with the four evangelists in the Bible. However, evangelism originally stems from a Greek word meaning the reward given to a messenger for good news. For me, evangelism is all about ideas that are good news, how those ideas spread and how they have impact in the world. To be fair, it’s not that surprising that people don’t know what evangelism is – as there are not too many people declaring themselves to be evangelists. Even in LinkedIn Skills & Endorsements section, “Technology Evangelism” is listed under “Other Skills – These skills do not fit under the available categories”. Indeed, in my early years in Microsoft Ireland’s Developer and Platform Evangelism Group, I used to drop the “E” word entirely from the group name, for fear that it would conjure up awkward jokes about whether or not I was associated with any religious groups. It wasn’t until relatively recently that I felt comfortable using comfortable using the words “Technology Evangelist” as a title. The turning point for me was probably seeing some colleagues from the US confidently use the title here in Ireland, without anyone making the sign of the cross at them (that happened to me quite frequently in the early years when people read my business card!). But despite my original reticence to use the word – I have always passionately believed in the power of evangelism as a discipline. How to craft a message or story that best embodies an idea. How to best spread those messages/stories through various communication channels and engagements. How to engage and support communities that keep those ideas alive and help them evolve and grow. Essentially it’s all about how to use ideas to change what people think, feel and do… at scale. In an evangelism team there may be different roles. For example, in our team we had: developer/architect evangelists, program managers, audience marketing managers and over time, business evangelists each of whom specialised in one or more of the areas above. Evangelism teams often have a high ratio of subject matter experts who are skilled in passionate communication. Evangelism success is often measured by rates of market adoption (sometimes of free technology) or sentiment rather than revenue/sales. Most notably, there is a very high emphasis on community support and engagement. Why is technology evangelism an important role today? In my early years in Microsoft, we were all about spreading the news about technology platforms within the technical community. However in the latter years, and in particular with the rise of cloud computing, we had shifted to evangelising new business models that the technology enabled – or how technology should be applied in business contexts. With the recognition that successful technology transformation is as much about culture in organisations as the technology used, evangelism is a useful tool in accelerating culture change. Technology is also evolving at such a speed that there is a growing gap of understanding between those who can build cutting edge solutions, and those for whom the solutions are being built. I spoke recently on a panel with Lisa Talia Mortti, who introduced me to the fascinating field of study around sociotechnical blindness, a name for the disconnected relationship that sometimes exists between technology and humanity. Lisa has a white paper that explains the idea here. I personally am concerned about the digital divide that is growing in society whereby only those who are sufficiently “connected” can access the benefits digitization is bringing. When good ideas emerge about how to best use technology for the benefit of society – it’s important for those ideas to spread and stick. And not just within technology circles, but also within broader industry circles and in society. There is a job to be done to open all our eyes to the potential opportunities (and sometimes the risk) of how we use technology in business and our lives. Technology evangelism has its part to play in that!